William E. “Bill” Stoup, 96, of Coleman, died Thursday, November 29, 2018 at Abilene Regional Medical Center. There will be a visitation on Wednesday, December 5, 2018 at Stevens Funeral Home, 400 West Pecan Street, Coleman. Funeral service with Military Honors will be 1:00 p.m. Thursday, December 6, 2018 at Stevens Funeral Home Chapel. Burial will be in the Coleman City Cemetery. Services are under the direction of Stevens Funeral Home. William Edward Stoup was born May 29, 1922 in Pilot Point, Texas to Edward Darwin Stoup and Nova Lou Scoggins Stoup. Bill moved with his family at the age of three to Coleman in a covered wagon. He grew up in Coleman and graduated from Coleman High School. He served in the United States Army during World War II from 1942 to 1946. While in the Army, he was stationed in the Philippines and in Tokyo, Japan. He received the American Theater Campaign Medal, the Asiatic-Pacific Theater Campaign Medal and the Philippine Liberation Medal. After being discharged from the Army, Bill came back home to Coleman. He married Mavis Cullins on November 8, 1957 in Coleman. Bill worked as a pumper in the oil field for Fultz Oil Company for 31 years. After retiring, Bill continued farming in Coleman, a past-time that he enjoyed. Bill never met a stranger and greeted everyone with a handshake and a smile. Bill loved fishing every chance he could and taking his family on trips to New Mexico. In his later years, you could see Bill walking all over the south part of Coleman, often stopping in to visit with his friends at Allsups. 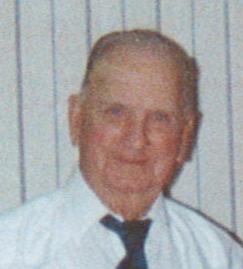 Bill was a member of North Coleman Baptist Church. Survivors include two daughters, Kathy Lindsey of Lubbock, Malvina Brouwer of Coleman; one sister, Peggy Jacobi of Fort Worth; two grandchildren, Daryl Lindsey of Lubbock, Robert Lindsey and wife, Christy, of Shallowater; two great grandchildren, Ashley Lindsey and Coby Lindsey, both of Shallowater; brother-in-law, L.H. Cullins of Coleman; step granddaughter, Judy Tivytoe of Lubbock and her daughter, April Tivytoe. Numerous nieces and nephews and great nieces and great nephews also survive. Besides his parents, Bill was preceded in death by his wife, Mavis, in March of 2013; five sisters, Dorothy Chastain, Margaret Wilson, Ruby Watters, Bessie Adian, Pearl Kile; five brothers, Earl Stoup, Carl Stoup, Alvie Stoup, Fred Stoup and Hugh Stoup. He is also preceded in death by two sons-in-law, Donnie Lindsey and John Brouwer and a sister-in-law, Louise Howard. Donations in memory of Bill can be made to Central Texas Opportunities, 118 West Pecan Street, Suite 405, Coleman, Texas 76834 or the donor’s favorite charity. Condolences and remembrances for the family may left online at www.livingmemorials.com.